Oh, and how cold does it get? Snowboard helmets give full coverage over the head. However, they are HOT!!! I had hoped that one might be good for rain, but maybe only for ice and snow. I've seen integrated light helmets before and I love the concept. Sadly all the ad copy lacks information beyond, "Yep, it's a light". Can you tell me anything about it? How bright is it? How is it powered? Hard for me to describe how bright it is. It's pretty damned bright. It has four little LEDs positioned in a square pattern on the board and a 2032 button battery that slips into a little clip on the reverse side. You simply push on the lens once for steady or twice for flash and a third time to turn it off. Push the whole thing out from the inside to replace the battery. It's water resistant (I ride rain or shine) and comes apart with a tiny phillips head screwdriver. I use it about an hour a day (blinky mode), five days a week maybe six, and the battery lasts about two months - give or take. I like the looks of the Hyban. The Pedelec is pretty cool too. Last edited by Kedosto; 09-11-16 at 02:07 PM. Thank you Kedesto. Although it turns out the information is a negative in my view, it's nice to have it. The Hyban does the same thing, so if you do get one I would love it if you gave a similar rundown of the light on that. Selecting a suitable helmet is always a challenge. Top Mountain Bikes, Helmets and Clothing Review | Best Adviser . They provide a nice top of the helmets, so you can try to find something there. Probably Gonex Wind will fit you the most, but it costs around $100 and it's too expensive for me I was using Lixada, but for autumn I am not sure it is the best choice. 1) The rain is kept off my brow and face and does not run into my eyes - it is like having a windscreen. 2) The rain that forms drips on my visor is at a distance from my eyes that is less of a sight-impediment compared to drips that from on spectacles and sunglasses. 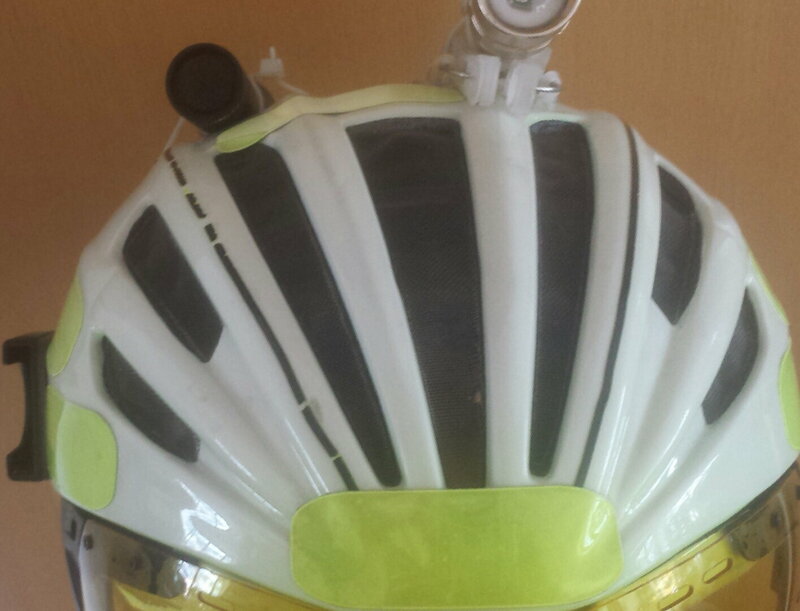 Additionally, rather than having large gaping holes, the helmet also has a insect proof metal mesh which prevents not only insects (of which there are not a few where I cycle) and water from reaching my head most of the time. The helmet is very thick, having two layers of protection (plastic stuff, mesh, more plastic stuff). One could remove a layer perhaps like Wphamiliton but I find it to be quite aero due to the combination of the mesh and the visor perhaps, and I don't seem to mind the weight even though I mount two LED lights upon it: a white one pointing forwards and a red light pointing aft. Unfortunately the high visibility yellow version that I have is no longer produced but I have covered it in yellow reflective stickers anyway, and a white one is still available. 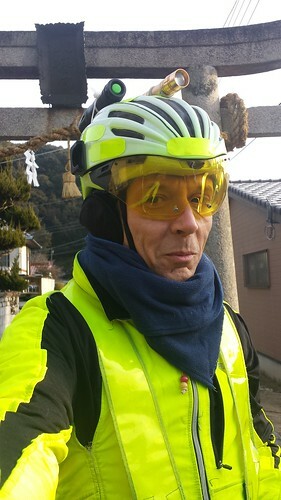 I use the yellow visor which improves contrast and make it feel like it is sunny all the time, even when it is raining. And this seller below sells it with the yellow visor in the one visor option (I think I got mine from the seller above) at about 35 USD. It also comes in a large 57cm to 62cm size which is important to me. I can't buy hats in Japan since they are normally up to 59cm whereas my head is 61cm. I highly recommend this helmet especially, and helmets with visors, to all-weather commuters. Last edited by timtak; 07-07-18 at 02:30 PM. I'll throw out a recommendation for a Bollé The One. Snap in aero covers (or rain covers, I reckon) removable visor, blinky taillight (also removable) summer and winter liners, it is genuinely like 5 helmets in one. I love mine. +1 for the Bolle "The One" - the snap in covers and multi-season liners give me 4 season versatility. I know this is older thread but still relevant. Also, I will third for the Bolle The One. I have two. One for my commuter and another for my road race bike. Different colours, different setups. This morning it was raining cats and dogs on my commute, so I snapped in the front closure panel to keep my head drier. Rain stopped, will ride home with the closure panel in the pannier. Easy as pie. The Bolle looks good but it is 170USD in my size. The fine anti-insect mesh on mine lets in air and keeps out the rain, and can be had for 32USD with a yellow visor. I have no doubt there are some bad products, and at dealers also. The double layer protection of this (second link above) helmet and all round impression of quality reassures me. I get almost all my bike stuff from ebay and aliexpress since I find it to be several times cheaper than road-bike related dealers, which I find to be prohibitively expensive. Agreed $170 is way too much for the Bolle The One, it's being dumped by Walmart and other for $70 or less. BTW, I like the idea of the rain-resistant mesh. I mean, Amazon also has one in the funky white/black/purple with damaged packaging for $74.50. I've currently seen the Premium as low as $60. I got mine two years ago for like $100. The mesh is as a rain guard is far from perfect, and there are holes on top, but it reduces rain to a degree, and stops insects completely. to be replace) is often the mesh.The metal micro mesh on the one I am recommending is stronger than usual. The helmet is two years old. It used to be yellow. There are front and rear facing LED lights attached. Thats stupid expensive. I got my Large (white/blue and carbon/blue) for $110 shipped CDN $$. Look around, try sigmasports.